Readers will enjoy a romantic adventure set on the early American frontier of the Ohio Valley from author Tammy Shuttlesworth. In a Moravian mission village, Callie struggles to connect her past with her future when the wilderness fills with political tensions. Also includes the bonus sequel, Healing Sarah's Heart. 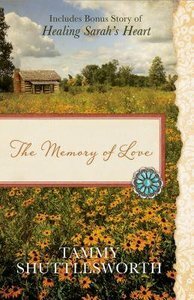 About "The Memory of Love"
Tammy Shuttlesworth is retired from the Air Force and living in Louisiana.